Do you know about the aircraft and weapons used to execute airstrike on PoK? 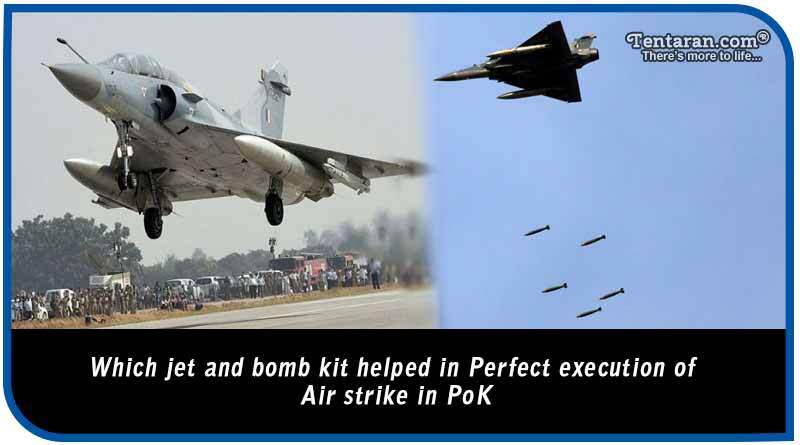 The Airstrike carried out by the Indian Armed Forces was a successful mission to avenge the Pulwama attack (14th February 2019) and other terror attacks carried out by the Pakistani sponsored Jaish terrorists. It is reported that over 300 terrorists were killed in the pre-dawn air strike by IAF on February 26th 2019. MIRAGE 2000 (flew from Gwalior) – Multirole fighter jet built by Dassault Aviation, acquired in the 1980s, a predecessor to Rafale. GBU-12 Paveway Laser Guided Bomb- American- Built Precision Guidance Bomb Kit. Matra Magic Close Combat Missile- French Built Missile for possible PAK Air Force response during Mission. Litening POD- Laser designator & Targeting POD to acquire targets & Guide Precision Bomb. Netra Airborne Early Warning Jet (from Bhatinda)- Command & control from the air, vectoring the fighters towards targets. Heron Drone from secret airfield conducted real-time surveillance along Line of Control. There is a possibility that some other types of Missiles/Bombs could have been used. This speculation is owing to the fact that none of us knows exactly the distance from which the weapons were fired. For more articles like aircraft and weapons used to execute airstrike on PoK, do follow us on Facebook, Twitter and Google+.